Watch this short video below to discover how easy it is to improve stabilization and accuracy of your Glock, Sig, Beretta, Smith & Wesson, Ruger, and many other semi auto pistols! 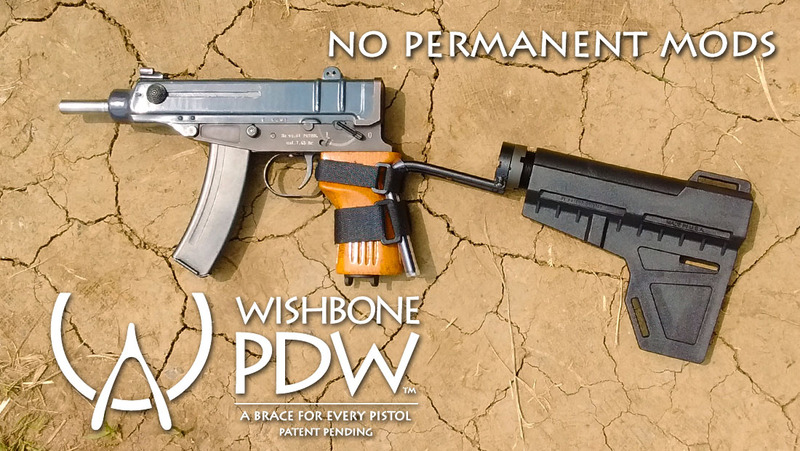 Wishbone PDW™ is the brand for a revolutionary patent pending product line of arm brace adapters to allow you to use your favorite ATF approved pistol brace with a wide variety of handguns. Our first Wishbone PDW adapters are primarily designed for using handgun braces with semi-auto pistols, but may be suitable for some revolver models as well. 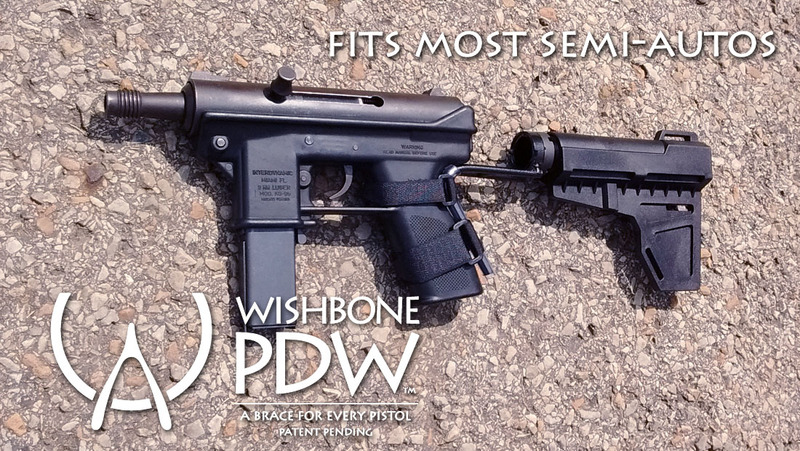 Wishbone PDW™ adapters are both comfortable and durable for the shooter. 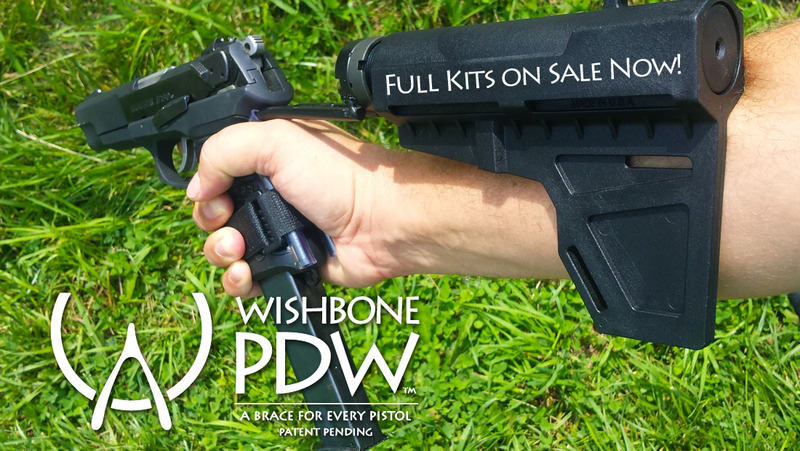 And Wishbone PDW pistol brace adapters are compatible with most AR-15 / M16 / M4 receiver endplate sling adapters. Wishbone PDW™ adapters can be attached to your favorite semi auto handgun’s grip with the included straps, then simply use the larger strap to fasten your Wishbone PDW & pistol brace to your arm and you’re ready to rock! 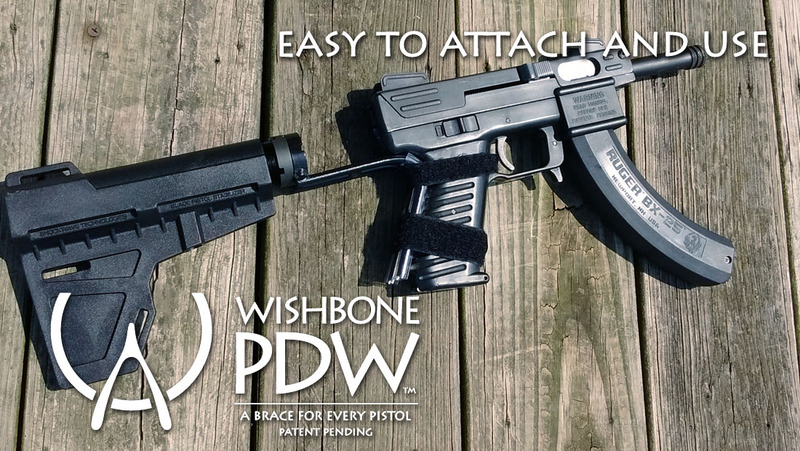 Why Choose a Wishbone PDW Adapter? 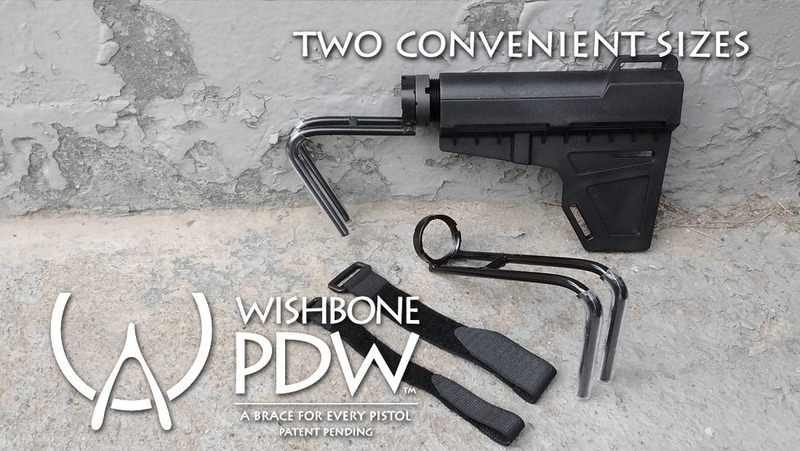 If you enjoy shooting for extended periods of time and want the extra firearm support, or desire to redistribute the felt recoil and weight of the handgun, then a Wishbone PDW™ adapter is for you! Our Wishbone PDW pistol brace adapters have been tested on many different handguns including the Sig P226, Glock 17, Beretta 92, Beretta PX4, HK VP9, Ruger P89 and P95, Intratec Tec-9/KG99 and variants, Skorpion VZ-61 and Scorpion EVO, and many others. 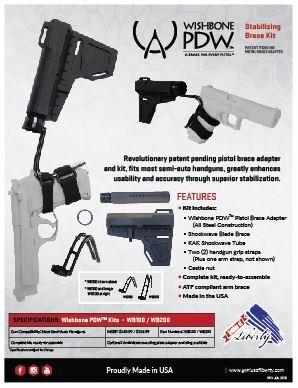 Wishbone PDW handgun brace adapters are quick and easy to attach to any mil-spec pistol buffer tube, then equip the buffer tube with your favorite approved handgun brace and you’re ready for action! Don’t delay! Visit our Genius of Liberty online store to pick up your Wishbone PDW™ pistol brace adapter today!